Our 2015 Seaside School Half Marathon & 5K Run is tomorrow! For those of you who were lucky enough to attend our inaugural Taste of the Race last night, we hope you enjoyed it as much as we did. Today is the Race Expo where you can pick up your bib and listen to live music from Geoff McBride, all kicking off at noon. None of this would be possible without the valued support of our community and the generosity of our sponsors. Over the past few months we’ve taken time here on our blog to highlight some of those supporters. Today marks the last Sponsorship Spotlight for 2015 as we take time to thank Coastworthy. 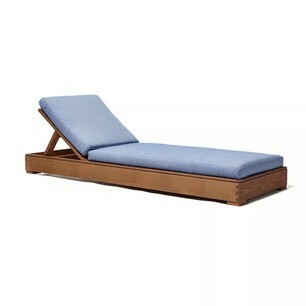 Based here in Seaside, Coastworthy is an American outdoor furniture and home décor brand. Their timeless designs can be seen on the porches and balconies of many of the iconic homes in our community and throughout the country. Handcrafted by local artisans, Coastworthy combines domestically sourced hardwood and fabrics to create high-quality pieces that are sure to enhance your outdoor lifestyle. You can find a Coastworthy showroom at High Point Market Saturday April 18-Thursday April 23, and at The Merchandise Mart in Chicago in the Fall on Wednesday September 16-Saturday September 19. We love the all American products from Coastworthy and we encourage you to support all the businesses who support us! Good luck tomorrow to all our runners. See you at the finish line!